Neptune the God of spirituality will enter his own sign, Pisces, also a sign that deals with spirituality. To understand Neptune in Pisces we need to understand the meaning of SPIRITUALITY. Much has been said about spirituality, some people believe it only concerns religion, others think it has to do with fortunetellers or divination. Spirituality deals with immaterial reality, and living in a scientifically oriented world, spirituality is misunderstood by most people. We tend to believe in what we see, what we can touch and what has a scientific explanation. That’s why astrology has not been recognized as a legal profession and is still for many people an irrelevant subject because no one could yet prove that the planets can send subtle frequencies which vibrate and impact our subconscious minds and induce our behavior and determine our personality and talents. The only way to prove that astrology works is to have a reading experience with a qualified astrologer. Spirituality relates with the unseen and intangible, as opposed to the physical or mundane. Spirituality is connectedness with the Cosmos, with the universe, and of course, with each other; understanding that every single living creature on this planet is interconnected by energy. Spirituality is the faith that we can create our own reality based on our own desires. The first step to becoming spiritual is being able to connect with our inner selves. Connecting with our inner selves promotes inner growth. Self-growth improves the world around us as a result of internal change. What makes one spiritual? A spiritual individual is highly conscious of the role of his ego, and is connected with the nature of Divinity and with God in all its forms. When one understands this connection, he or she develops characteristics as a result of this pursuit of awareness, such as humility, kindness, forgiveness, integrity, gratitude and generosity. One of the ways to reach those high stages of being is becoming aware, and a good way to become aware is through meditating; it’s by silencing your mind. Only when we silence our minds and stop thinking we can hear our inner voice. When we find the inner divinity and understand we are the creators of our external world, we can say we are spiritual. A non-spiritual individual is only concerned with material and mundane values. He is selfish, egoistic and he seeks power. Power to control and dominate others. He or she is highly competitive and doesn’t believe in totality. These people usually live alone even when surrounded by people and unhappily, because they are isolated from the connection with other souls. Not a social connection, but a real and deep soul connection. A spiritual person doesn’t judges other human beings; a non-spiritual enjoys gossiping and is always trying to find mistakes and wrongdoing in others. The spiritual soul FORGIVES; the non-spiritual individual holds grudges in their hearts. Forgiveness is an attribute of high-spirited souls; it is one of the highest degrees of evolution one can reach. A Spiritual person likes to help other human beings, just for love. A non-spiritual person doesn’t respect the law of timing. Everything has its right time to be born and to die. There’s a time to love and time to leave, a time to plant and time to harvest. They don’t listen to the voice within and the voice of the universe; they follow their will with no respect for the will of the Cosmos. Being spiritual means being balanced and leveling all parts of life such as mind, body and soul. The body as the shelter of the soul should be respected and preserved. When you present a beautiful and healthy body you are feeding others’ soul, like beautiful music does, like poetry or a painting. The more you learn and gather knowledge, the more you efficiently understand life and life’s issues. The more you use your mind to empower your body, the healthier and more knowledgeable you become in understand the laws of the universe. Neptune will occupy the sign of Pisces for about 13 years, and we have to understand and learn how this event will impact our society and each and every one of us and how to be aligned with the Cosmos during this incredible spiritual shift of our planet and evolve together. We will experience the UNITY and CONNECTENESS we have been seeking for so long. In astrology, we study the movement of the planets and how they impact us here on earth. Planets like Pluto, Neptune and Uranus are generational planets; they impact the collective consciousness while planets like Saturn, Jupiter and Mars act in a more personal level. Pluto, Neptune and Uranus take many years to complete the cycle of the zodiac. In other words, to go around the Sun, contrary to the planet Jupiter for instance that takes about 12 years to complete the cycle of the zodiac, Pluto takes about 248 years to go around the Sun, (and spends about 20 years in each sign of the zodiac), Neptune takes 164 years (13 years in each sign) and Uranus takes about 84 years (about 7 years in each sign). All the planets and asteroids up in the sky transit or pass by each of the 12 zodiac signs, each in their own speed. Every time one of these planets changes signs or makes angles with each other, they promote changes in our society, the frequencies that vibrate from these planets according to their principals and the characteristics of the sign the planet is occupying makes us aware of new trends and as a consequence, we evolve. Their job is to promote change and growth in humanity. Each planet operates in a different way, Pluto destroys to reconstruct, Uranus shocks and shakes the existing orders to replace them with the new ones and Neptune dissolves, dilutes, clouds and create chaos in order to implement a new spiritual awareness for humanity. For instance, when Uranus was in the sign of Pisces between 1920 and 1928, women started to use makeup, and color their nails. They also experienced the right to vote for the first time. This female innovation was a shock to our society, because women didn’t have the same rights as men. 84 years later, in 2003, Uranus entered the sign of Pisces, and will remain there until April 9th 2011. In the year of 2003, I wrote an article about Uranus ingress in Pisces, and I predicted that a woman could become the president of a country for the first time (Please go to ‘Uranus in Pisces’) Last year; Dilma Roussef was elected the president of Brazil. For the first time a woman will be the president of Brazil since its discovery. Cristina Fernández de Kirchner was elected president of Argentina in 2007 and Hilary Clinton was the first female candidate with a real chance to become the president of the USA. So that shows we astrologers predict the future trends, based on the evolution of humanity guided by the planets and their vibration and impact on us, here on earth. In 2011, the planet in evidence is Neptune, because it is moving to the sign of Pisces. Let’s get to know more about Neptune so we can understand and connect better to what is about to come. Neptune has a cycle of 164 years. It was discovered on September 23rd 1846, in the sign of Aquarius, so this year, 2010, 164 years later Neptune made its first cycle around the sun, since its discovery. Neptune is associated with love; unconditional love, imagination, fantasy, mysticism, romance, hope, covert actions, socialism, hospitals, charitable institutions and the navy. Its good qualities are sensitivity to the needs of others and idealism. Neptune is the planet of spirituality and connectedness. The down side of Neptune is dishonesty, martyrdom and indecisiveness in most affairs. Under a difficult transit with another planet, we can experience more confusion, fraud, crime and scandal. There’s more use of alcohol and drugs. We are prone to accidents with chemicals and problems related with oil. 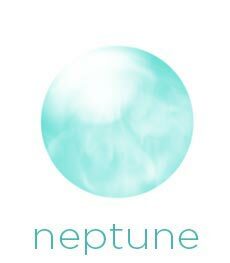 Neptune is also impactful in dancing, the arts, glamour, acting, film, music, poetry and photography. Last time Neptune transited the sign of Pisces was from 1847 until 1861 and it will make its return to Pisces on April 4th 2011. It will go back (in retrograde motion) to Aquarius on August 4th 2011 until February 3rd 2012 and remain in this sign for 13 years. Now, you may be wondering: How can we deal with a spiritual planet, in the spiritual sign of Pisces, living in a “modern scientific oriented world”? To deal with Neptune, the planet of idealism and the soul teacher, the best way to not only survive but also evolve in these next 13 years is by connecting ourselves with the Cosmos. In order to promote this connection we need first to connect with our inner selves. Most of man’s problems stem from losing contact with basic instincts. We must first be conscious of ourselves, and disconnect from our big Ego, that egoistic voice that sometimes overcrowds our thoughts. Start by taking responsibility for yourself first. Become alert to negative thoughts, and negative emotions, like constant dislikes, judgments, prejudice, criticism, hate, jealousy, greed, possessiveness, fear and so on, but when you become aware of these feelings don’t think this means you are a failure, a sinner or a bad person. We are born with negative feelings and negative emotions in our DNA, some more than others, but we all carry this inheritance from our ancestors. When this awareness happens you have succeeded and it’s easier to free yourself of your DNA inheritance. Your sense of self and who you are is the first step to losing that identification with negative emotions. Being conscious of what you think now allows you to make change. Remember you are not only your thoughts and your emotions; you are a unique, DIVINE being. It’s very important that we become conscious of our patterns, so we can change them and redirect what is negative, and transform them into positive patterns. What we call fate is only the result of our unaware choices, made by the unconscious mind. In order to find a solution for an improvement we need to face the problem that will open the options for the solution; this is evolution. Neptune in Pisces will bring a global focus on the suffering of humanity and a corresponding urge to alleviate this suffering through social change. At the end of this cycle, we can experience a higher degree of compassion, unconditional love and most of us, the total dissolution of the Ego, replaced by a sense of deep self and a true connection with our divinity. This passage of Neptune in Pisces will bring a need for spiritual contentment. Not the digital psychics and clairvoyants but for compassion-centered altruism. People will be more connected, not in the small world of Facebook but connected by heart and soul. We have talked a lot about 2012 and a lot has been said, such as the end of the world and so on. I don’t believe the world is going to end in 2012. What is going to happen will be a shift in our planet, a shift that you either become a part of or you will become disconnected from, which for some people could mean death, in consequence of isolation and separation from the WHOLENESS. Suffering will be too real for doubters of spirituality or non-believers of spirituality. True solidarity will be found in helping people who are in this situation to see the light within. Enlightened collective will be the vortex for consciousness that will accelerate the planetary shift and as the new consciousness emerges we are going to form groups that will reflect the NEW enlightened consciousness. We still have the choice to deny this new consciousness but you may have to pay for the consequences, which will be isolation and psychological disturbance. The first call will be when Neptune makes its first aspect with the asteroid, Juno, which rules relatedness, receptivity to others, mutual sharing, trust and power struggle. It is interesting that this first transit of Neptune in Pisces will coincide with the end of the Mayan calendar, December 21st 2012. In mundane astrology what can evolve in our world in this upcoming 13 years? As I said before in order to predict the future trends we link the present and future with the continuation of a process started back when the planet was occupying the same sign. So let’s analyze the events and trends between 1847 and 1861, the last time Neptune transited the sign of Pisces. This Age was marked by sacrifice, victimization and guilt. Now, humanity may transmute from understanding God as a divine light within, not a God that punishes and forgives because of our begging prayers. We will evolve from being fearful of God’s punishments, understanding wisely the law of cause and effect. We are not victims but consciously responsible for our external world, and our reality which is created by our thoughts, decisions and actions. Of course the collective consciousness also contributes to the events of our lives; the law of cause and effect also operate not only individually but through a group of people that form a specific society. For example, in Africa, starving children did not create their miserable lives, but the negative thoughts and negative emotions African people have been passing on in their DNA caused by slavery, suffering and prejudice for centuries. If they affected a mass change to a new consciousness and released feelings of hate and depravity; if they forgave those who have enslaved and hurt them, they could change the course of their destiny and their lives. Of course this is a kind of change we won’t see in the next 4 or 5 generations, it’s a utopian delusion, however, the point is to say: this change would change their reality. Neptune is the God of the arts and inspiration. It was also the era when painters like Renoir, Gauguin, Van Gogh, Cezanne and Monet made their impressionist paintings, expanding the world of fantasy and imagination. The first photographs were taken, ultimately leading to the coming world of moving images. Neptune, as the planet of illusion and non-reality, is the ruler of photography. If we think about it, a picture is a vision of the photographer; it’s an illusion of the reality, which is also one of the characteristics of Neptune. So we can expect for much evolution in arts and photography, like inventions and new ways of turning a vision into reality or reality into a vision. Anesthetics were used for the first time in hospitals. We can expect for new techniques to be invented, easier for our bodies, safer and less invasive. No doubt this will bring a very strong focus on nature and the environment in the coming decade, but it will be the social conditions of the human being that will take an evolution. Neptune’s arrival in Pisces can also bring fears of epidemics and unknown diseases but in the long run this influence is sure to bring wonderful advances in medicine, just as the last transit through Pisces brought chloroform and anesthetics. When Neptune entered Pisces in 1847 the first African colony gained independence, when slaves freed in America returned to Africa. Now, 164 years later, the return of Neptune through Pisces may foresee the beginning of the ascendancy of Africa. I can feel it and I hope that together the world will alleviate the poverty and hunger in Africa and find ways to provide food and better life conditions which currently are very inefficient in Africa. The world will try to repair what has been done to Africans and Africans Americans and we may finally understand we are all the same; we are all made in the same light and the same divinity. The department store, Macys in New York City has being promoting the gathering of masses of people on 4th July, with its magnanimous fire works celebration of America independency. Macys was founded and open its door for the first time in 1850. Now 164 years later, Macys can become part of a campaign for hunger in Africa, for example, or any other form of unification and fraternity. Levi Strauss made his 1st blue jeans in 1850. What kind of apparel could unify men and women more then the “BLUE JEANS”? Every human being, despite status, race, monetary power, age, gender and religion has been wearing blue jeans. What will be the next step for the blue jeans? Or for the unification of social standing? Neptune in Pisces will help us make another great evolution, such as dissolving unclear aspects of our personalities, understanding we are all connected by the same energy. By merging ourselves in an ocean of oneness with the universe we will find LOVE; unconditional and true love.